“So I followed them down a path and found dozens of mushrooms. The air was so damp. I knew the smell from when I was small—my grandparents’ basement. My cave of treasures. I felt a sense that there was something special close by. Author-illustrator Beatrice Alemagna is someone whose named has appeared often at 7-Imp over the years, given that I’ve done a whole heapin’ lot of interviews in the years I’ve been blogging, and many, many illustrators have named her as an inspiration. Today I’m featuring her new book — well, new to U.S. readers. 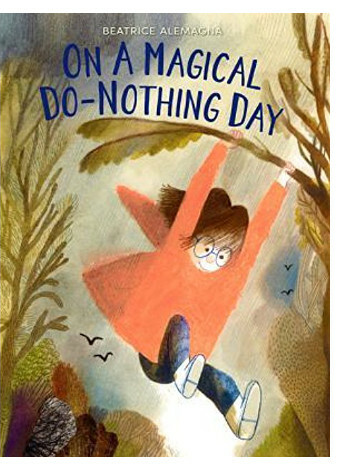 On a Magical Do-Nothing Day was originally published in France last year but is on American shelves now, thanks to HarperCollins. It’s the story of a girl whose day is being ravaged by some serious ennui. She and her mother visit a cabin in a forest, while the girl’s Dad stays back in the city. Who knows what is going on there and why the father isn’t with them, but the girl misses him. It’s a rainy day, and like a lot of contemporary children, the girl is captivated by the tiny, hand-held device in her hands that allows her to play a game — specifically, one that allows her to destroy Martians. “Actually, I was just pressing the same button over and over,” Alemagna writes. Her mother, working at a laptop, growls at her and takes her electronic device and hides it. The girl finds it and heads out. It’s one of those days where an utter lack of creativity takes over, at least on the part of the girl, and she and her mother most definitely need some time away from one another. “‘Shh! There he is,’ the captain whispered. This morning over at Kirkus, I’ve got a picture book import from New Zealand. That is here. Woof. Woof. 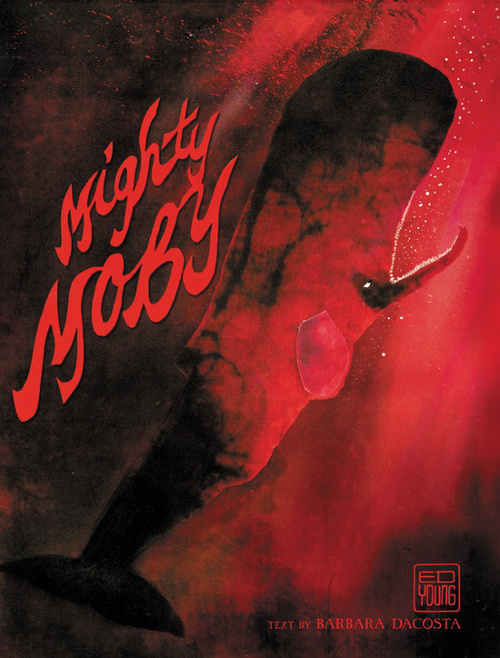 Last week, I wrote here about Barbara Dacosta and Ed Young’s Mighty Moby (Little, Brown, August 2017). I’ve got a bit of art from the book today, as well as some preliminary images and a few words (below) from Barbara about the book’s creation. How about another import today, dear Imps? Last week we had a German one; today is one from Italy. Professional Crocodile was originally published in Italy this year but is also seeing publication here in the States in early August (Chronicle Books). It’s a book conceived by writer and publisher Giovanna Zoboli, who is also one of the founders of the Italian children’s book publisher Topipittori, and it’s illustrated by Mariachiara Di Giorgio. 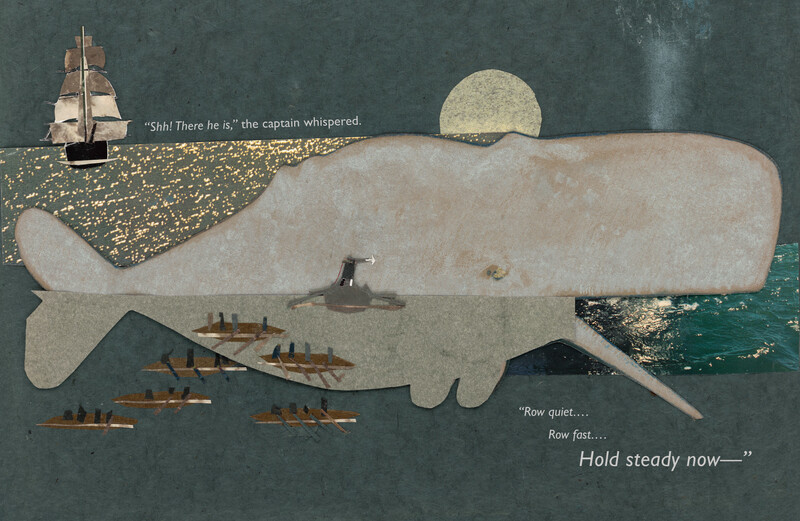 In this wordless story, readers follow a crocodile during the course of his day. The illustrations are divided into panels of various sizes, though some spreads are continuous, full-bleed ones. The crocodile dresses and behaves as if human. Di Giorgio’s dynamic city scenes will beguile readers; there’s a lot to pore over and take in, and there’s a good dose of humor in the details. At one point, when the crocodile hops on a crowded train, we see mostly humans but also a few other animals. Hmm. … Where is he heading? child readers will wonder. This morning over at my Kirkus column, I’ve got Barbara Dacosta and Ed Young’s new picture book, Mighty Moby (Little, Brown, August 2017). “The streetlights look brighter and the roads aren’t so busy before the sun comes up. Last week over at Kirkus, author and poet Bao Phi and I talked here about his debut picture book, A Different Pond (Capstone, August 2017), illustrated by Thi Bui. 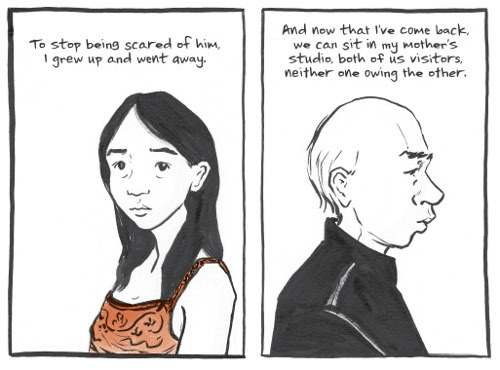 In March of this year, Thi also released her debut graphic novel, The Best We Could Do: An Illustrated Memoir (Abrams), the story of her family’s escape after the fall of South Vietnam in the 1970s and the rebuilding of their lives in America. 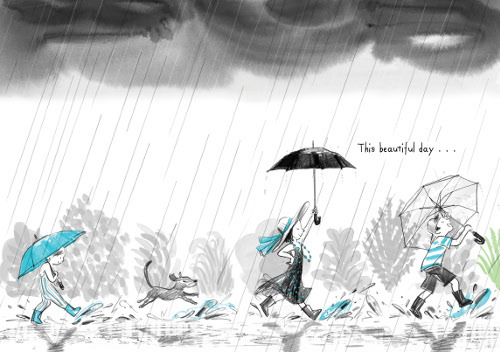 I’ve got art here at 7-Imp today from both books. 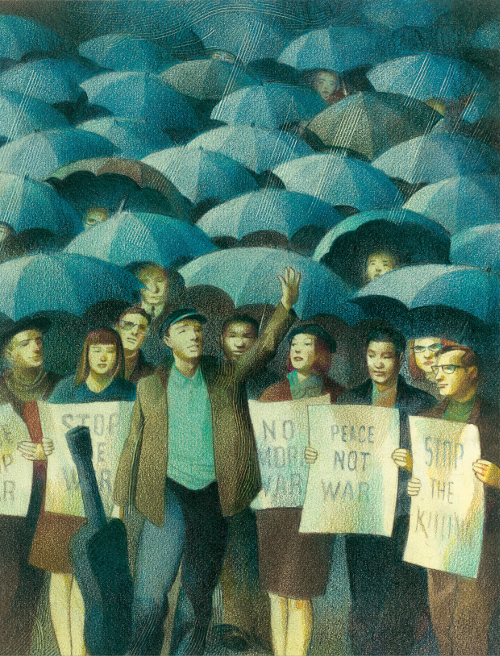 This morning over at Kirkus, I talk to author-illustrator Seymour Simon about his newest nonfiction picture book and his career of making books for children, which has spanned over 300 books and nearly 50 years. 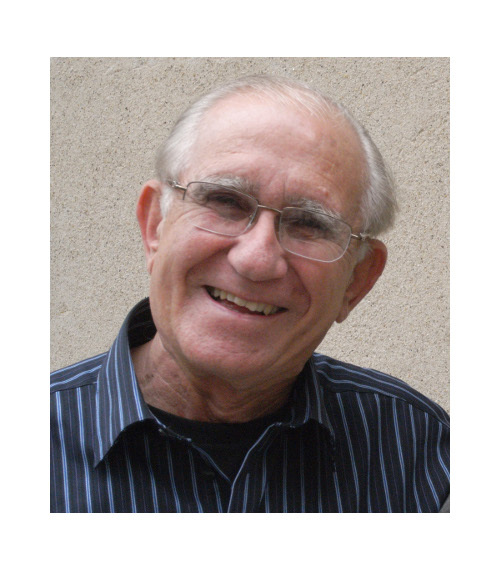 Photo of Seymour Simon © Charles Harbutt and used by permission. How about a German import this morning? Over at BookPage, I have a review of Antje Damm’s Waiting for Goliath (Gecko, August 2017), translated by Sally-Ann Spencer. 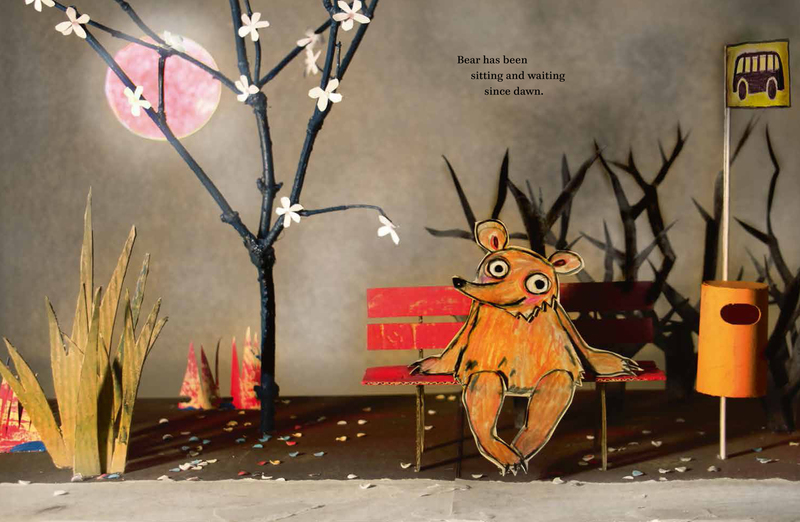 That is here, and today here at 7-Imp I have a few spreads. I’ve got a review over at BookPage of Richard Jackson’s This Beautiful Day (Caitlyn Dlouhy/Atheneum, August 2017), illustrated by Suzy Lee. 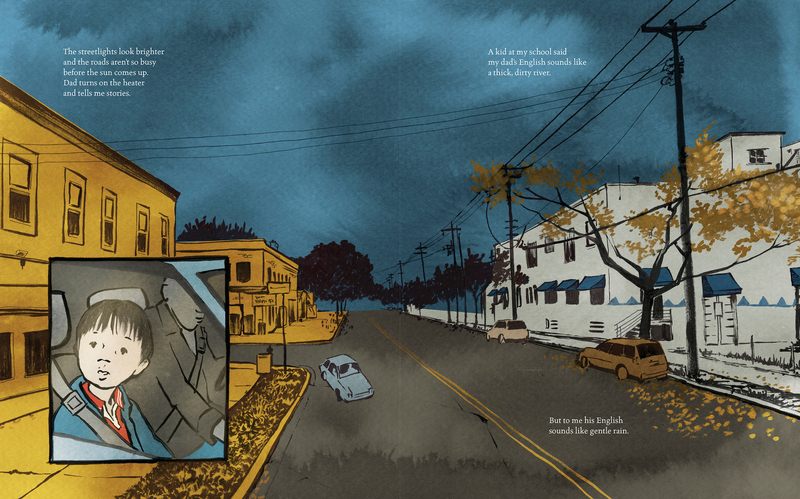 That is here, and below are a couple more spreads from the book. 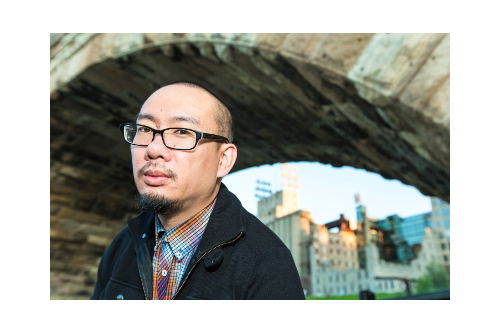 This morning over at Kirkus, I’ve got a Q&A with author Bao Phi, pictured above. We talk about his new picture book, A Different Pond (Capstone, August 2017), illustrated by Thi Bui. That is here. Next week here at 7-Imp, I’ll have some art from the book. Also pictured above is an illustration from the Anna Hibiscus chapter book series. 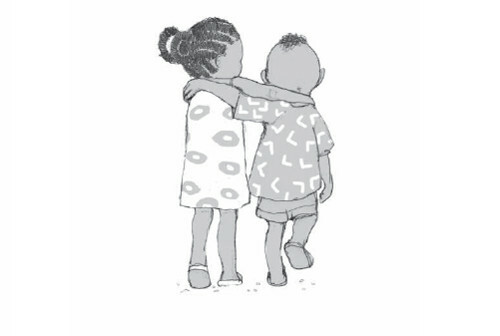 I mentioned in last week’s Kirkus column that new titles are coming out in the Fall (Kane Miller), and so today I have some of Lauren Tobia’s illustrations from those new books. More artwork is below. Here’s a follow-up to my Kirkus Q&A last week with author Leda Schubert. 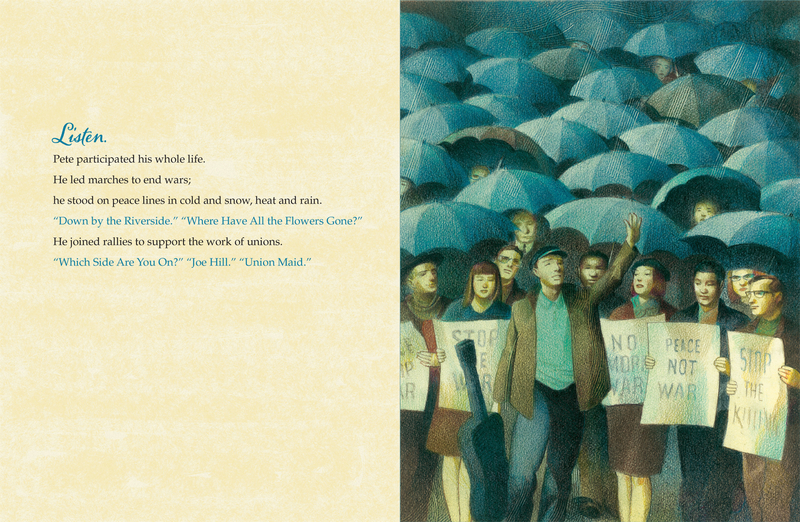 These are some spreads from Listen: How Pete Seeger Got America Singing, illustrated by Raúl Colón.